We are making a commitment to get healthier together in 2014 at the Highland Park Volunteer Fire Department. Thanks to some generous donations we have been able to piece together some fitness & gym equipment. Captain Tim Langan & Firefighter Andy Campbell have researched & planned out a program to encourage health, fitness & wellness among the members. The program kicked off last week with a group workout & continued this week with a second workout – there will be two workouts in our first month, “Intro”, that can be completed during the open gym hours at the Firehouse on Monday & Wednesday or on your own (at home, at the gym, etc.). 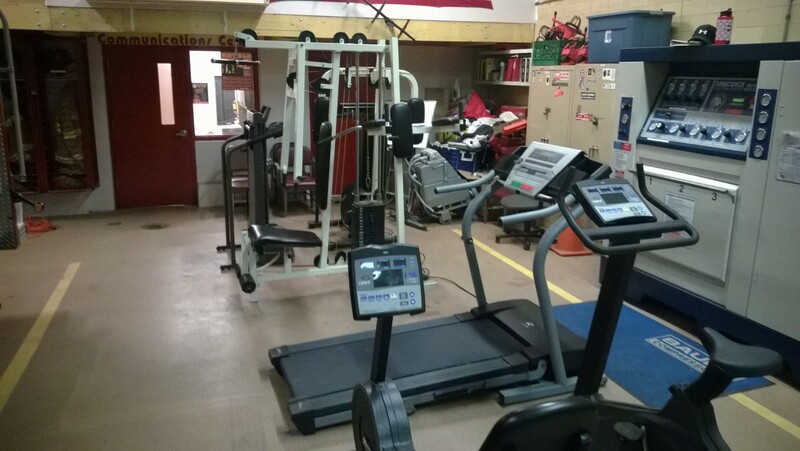 The goal was to make a beginner workout that could get people started with minimal equipment and make use of the existing equipment we have at the Firehouse. One Round is the completion of exercises 1-5. Pick a weight or resistance that is challenging but allows you to recover quickly. Always use good form.